AKA has been a busy man since the year began with the music, fashion and vodka moves. 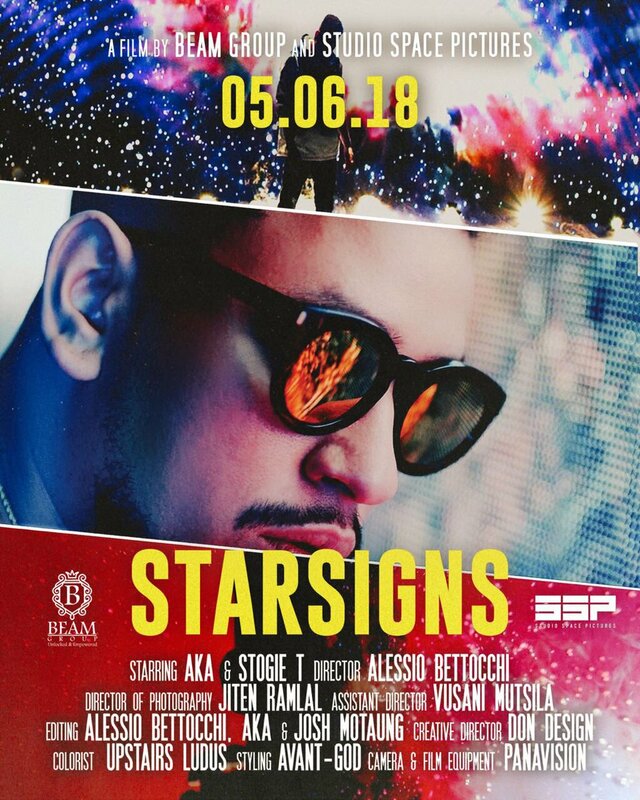 Now early this year the Supa Mega kick-started his Touch My Blood album roll-out with the banging single called ‘StarSigns’ which features Stogie T. When it dropped it had the whole game shook because of some the content that was shared on the joint. Now it seems like the visuals for the track are ready and from the looks of the poster, its going to b e one to watch.